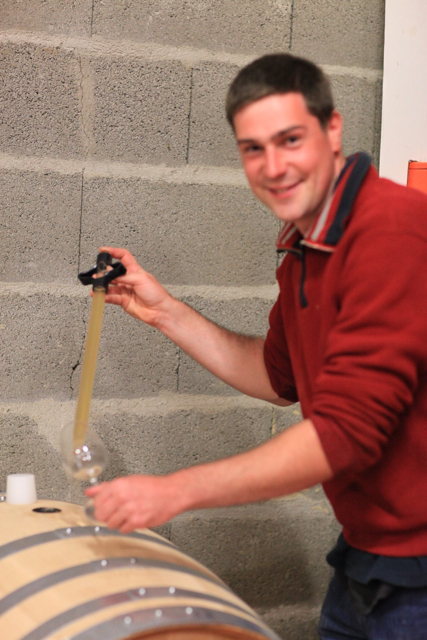 Here at Domaine Ogereau, as in a number of other Loire domaines, the changing of the generations is underway with Emmanuel Ogereau increasingly taking over from his parents – Vincent and Catherine. Emmanuel officially became an associate on 20th April 2015. Emmanuel is the 5th generation in this family of vignerons. The Ogereaus have owned this domaine since 1890s. 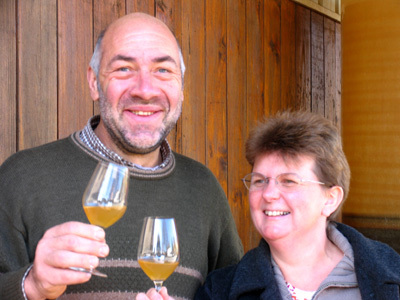 Vincent and Catherine took over responsibility for the domaine in 1989 – the year when they made an excellent 1989 Coteaux du Layon St Lambert Cuvée Prestige and followed this success with an award winning 1990 Coteaux du Layon St Lambert Cuvée Prestige. Vincent is thoroughly modern in his approach to quality wine-making. His winery is impeccably clean with high quality throughout his Chais. Vincent is a great believer in Chenin Blanc. His Savennières is wonderful. His bright hued, dry Rosé de Loire has an enjoyable red fruit character with zest and style. Vincent’s reds are some of the best in the appellation. His “straight” Anjou Rouge is nowadays made in a slightly lighter style for earlier drinking, whilst his 'Villages' wines are sterner stuff and need a few years cellaring to show their finest attributes. 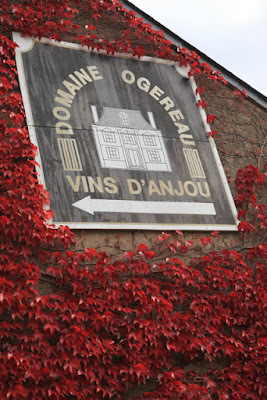 The Ogereaus top red is a single vineyard – Côte de la Houssaye. This is planted with Cabernet Sauvignon and only released in good vintages when the Cabernet Sauvignon ripens properly. There are two dry whites: an Anjou Blanc En Chenin made, as the name implies, from 100% Chenin Blanc and a Savennières Clos le Grand Beaupréau. This is from the joint venture vineyard with the Papins (Pierre Bisé) and the Guégniards (Domaine de la Bergerie). They also make very elegant and refined Coteaux du Layons – a range of three. First off a straight Coteaux du Layon Saint-Lambert and a top wine the Clos des Bonnes Blanches from a well-sited single vineyard that overlooks the Layon. Fermented in 500-litre barrels and the aged for 18 months this is only made in good vintages. This is one of the top sweet wines from the Layon. 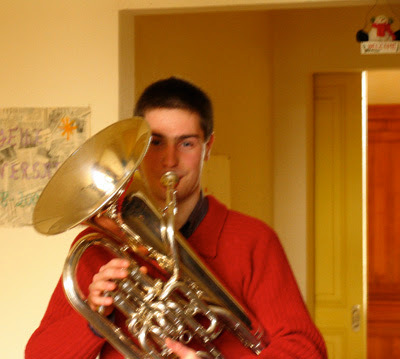 Then there is a recent introduction – Harmonie des Bonnes Blanches. This is lighter and less rich than Clos des Bonnes Blanches. It is also vinified in 500-litre oak barrels and aged for 15 months. 2015 saw two exciting additions to their range of wines: the acquisition of 43 ares in Coteaux du Layon Chaume and 87 ares in the Quarts de Chaume. Before returning to Saint-Lambert-du-Lattay Emmanuel had considerable experience working away from the Loire. 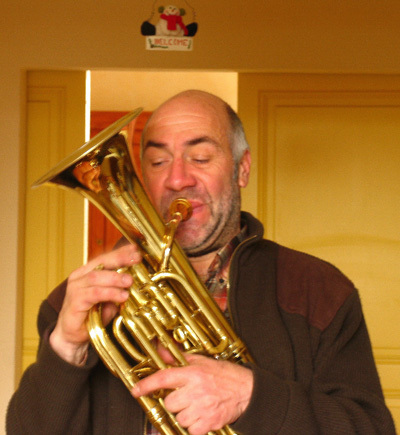 He spent just over two years at Les Vignerons de Buzet from July 2010 to July 2012. Then he had a short spell at the Cave de Tain l'Hermitage from September 2012 – November 2012. At the beginning of 2013 Emmanuel headed to New Zealand spending six months (January to June) at Carrick Wines in Central Otago. He also had a work experience at Domaine Serene in Oregon during the autumn of 2009. Unlike his parents Emmanuel is at home on social media with Facebook, Twitter and Linkedin accounts. However, both Vincent and Emmanuel are fine musicians. The Ogereau tasting room has a photo of Vincent playing with his father. This profile is one of a series I am gradually writing for RSJ News – the blog for the RSJ Restaurant in London's Waterloo. The other two profiles completed, so far, are Domaine Luneau-Papin and Château Pierre-Bise. A wonderful winery. My wife and I stopped there a few years ago on a very quiet day, and Vincent opened the tasting room and poured their entire range of wines. They were wonderful; I still have a couple of them in my cellar.